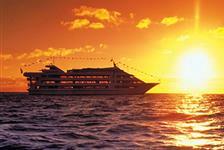 Delicious food and amazing sightseeing are awaiting you on our fantastic selection of Hawaii dinner cruises. 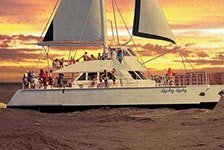 Choose from Maui dinner cruises or Kauai dinner cruises, showing you the best island sites including dolphins, whales, and romantic sunsets. You will be served authentic Hawaiian meals on these dinner cruises, with soft drinks and alcoholic beverages also available. Book your Maui or Kauai dinner cruise today with ReserveHawaii.com and save.